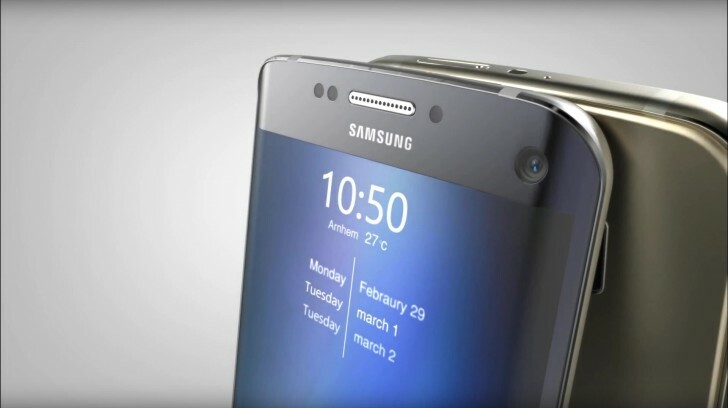 It’s not long now before MWC 2016 kicks off, which also means that Samsung’s February 21 unveiling of the Galaxy S7 is closing in fast as well. The sea of rumors about the eagerly-anticipated flagship has been abundant to say the least, but as the deadline inches nearer, it was only natural for the first live shots of the phone to start popping up online. 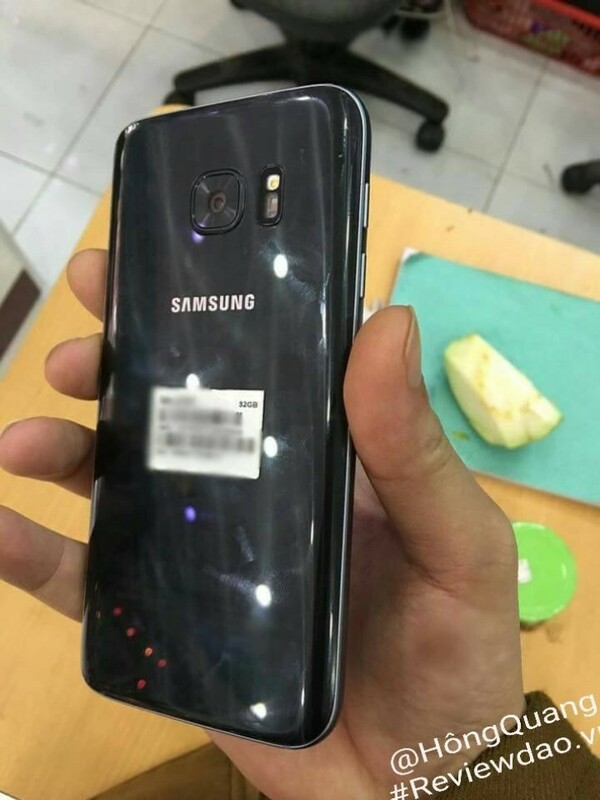 The leaks comes from Vietnam and looks very believable. The unit has a curved back, as well as an almost non-existent camera bump, just like previous rumors have suggested. It is hard to say weather the material on the back panel is actually glass, but even if it is not, it could be due to the unit’s prototype nature. The shiny metal frame is also easy to spot and the description accompanying the shot mentions it is now a magnesium metal frame, rather than an aluminum one. Speaking of the additional info, it confirms a lot of the previously suggested aspects of the Galaxy S7. First, there is the performance gap between the Snapdragon 820 version and the Exynos 8890 one, with the latter said to be about 15% more powerful both in CPU and GPU tests. There are also mentions of waterproofing and awesome battery performance with zero to eighty percent charging within 30 minutes. However, the leak doesn’t explicitly prove or disprove the two day battery life rumor we have been hearing. The leakster goes on to describe the Britecell rear camera as having a resolution of 12MP and an aperture of f/1.7. 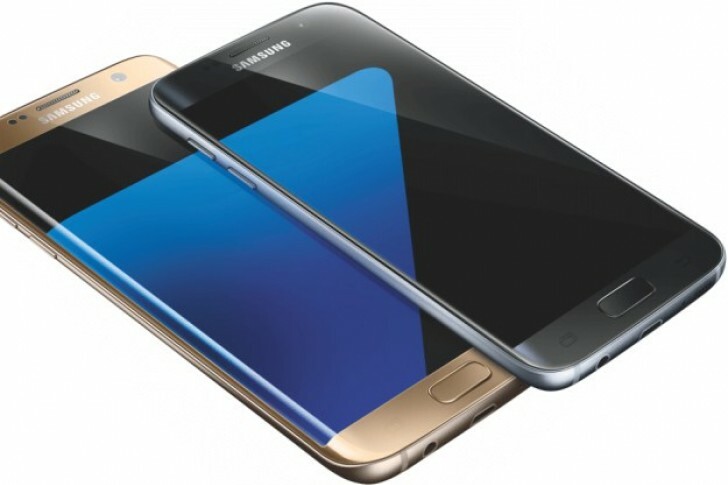 To top things off, a couple of prices are also mentioned - 16.49 million dong (roughly $740) for the Galaxy S7 and 19.9 million dong (roughly $890) for the S7 edge. Finally, following the MWC unveiling, the source claims the devices will be introduced to Vietnam on March 3 and go on sale March 18 or about a week later than the alleged March 11 date in Europe. Yes you do you just won't because of a lack of funds or pride. But hey, if the phone is still working then keep it, but you have many reasons to upgrade if your S4 ever craps out on you, which it will.